App Manager is a tool application that allows to simplify the application management. Was designed so as not to over load time by the minimum necessary data. * Speed will vary by the terminal. To simplify application management of that you have installed. Easy to remove the application with a single tap. Support the uninstall in multiple selection. 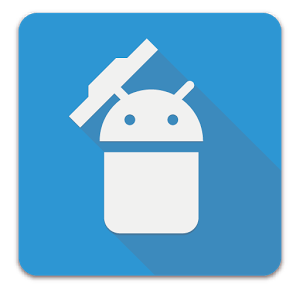 Support for application of backup (APK file creation). Basic action also supports (app launch, move to GooglePlay, etc). Management easy to visualize the initial installed app. Easy to the disable / enable from the details in a single tap. Easy to restore the app from the backup that you created. Supports viewing all backup files in the terminal (OFF in the filter by default). Support the sharing of an external server (GoogleDrive and DropBox, etc.) and e-mail attachments. Advertising program is not installed. Beginning to recommend that you try the free version. Please refer to the help within the app if the operation is not known. ・This app permission to write external storage for backup created use. ・Some apps that can not be backed up by security. ・Backup only package (APK file).Please understand,Data stored in the app is not backed up for security. Update for phone terminals with aspect ratio other than 16: 9. Please, Log in or Register to view URLs content!